Diamond Valley is about 85 miles northeast of downtown San Diego in Hemet, CA and is Southern California’s largest reservoir at 4,500 surface acres. Diamond Valley Lake is a fantastic fishery, particularly for largemouth bass, rainbow trout, striped bass, smallmouth bass, bluegill and redear sunfish. 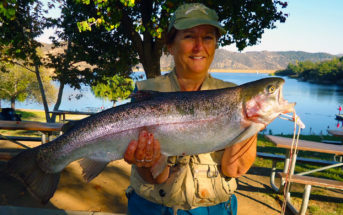 The lake has a max depth of 260 feet making it one of the few lakes in Southern California which all trout to holdover, or survive the entire year. 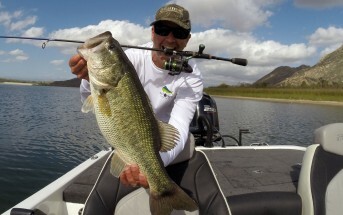 The most popular fish in Diamond Valley though are largemouth bass. The lake supports a healthy fishery of bass from 4-8 pounds and puts out bass over 10 pounds regularly during the spring. It hosts a regular schedule of bass tournaments that pull anglers from both Los Angeles and San Diego. 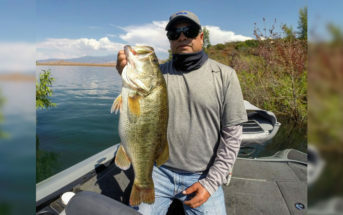 Smallmouth bass are also present at DVL, representing your best shot at targeting the species in Southern California without the drive out to the Colorado River in Parker or Lake Havasu. Striped bass have really taken hold at Diamond Valley, flourishing in the deep clear water and taking advantage of being at the top of the food chain of a healthy ecosystem. Striper well over 30 pounds have been caught and fish over 15 pounds are common. There are also huge redear sunfish at Diamond Valley. with fish over 4 pounds not uncommon. Diamond Valley Lake was created between two mountains with the construction of three massive dams. The east and west dams each span over 1 mile in length and are separated by over 4.5 miles of water. With its maximum depth of 260 feet, Diamond Valley is capable of holding 260 billion gallons of water. They began filling the reservoir in 1999 and weren’t finished pumping water into it until 2002. The lake was groomed by the California Department of Fish and Wildlife’s biologists who began stocking the lake when it was just a pond at the floor of the lake bottom. They ran genetic tests on bass from other Southern California reservoirs to try to find the purest strain of Florida largemouth bass possible. Ultimately, Lake Hodges was found to have the purest strain and were used to stock DVL. After much anticipation, Diamond Valley Lake finally opened for fishing and boating in October of 2003. Diamond Valley is open 7 days per week, year-round. Shorefishing is available on a limited stretch of shoreline, about 1.5 miles adjacent to the marina area. 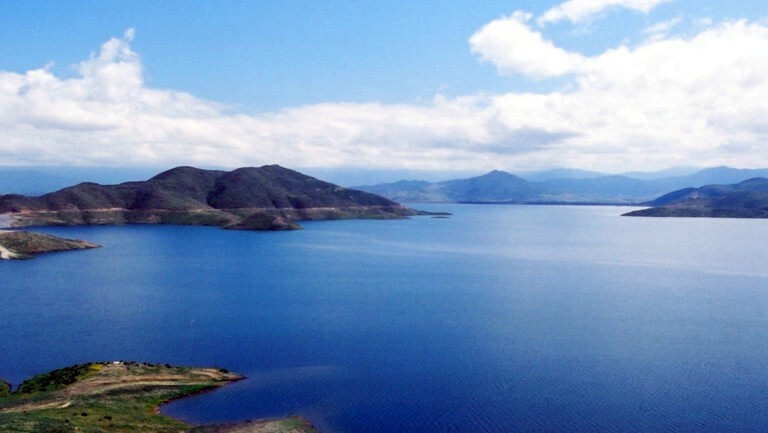 For fees, regulations and official information about Diamond Valley Lake, visit dvlake.com.